Good morning polished world! How are you all doing today? I am failing when it comes to blogging. I swear I'm going to get better next month. Tomorrow evening I'm going to sit down, prepublish all my posts to the end of the month and beyond, and just keep moving forward. When I sat down last night and realized I had 8 manicures to post, I realized how badly I've been slacking. Oh well, that just means more content throughout the year. 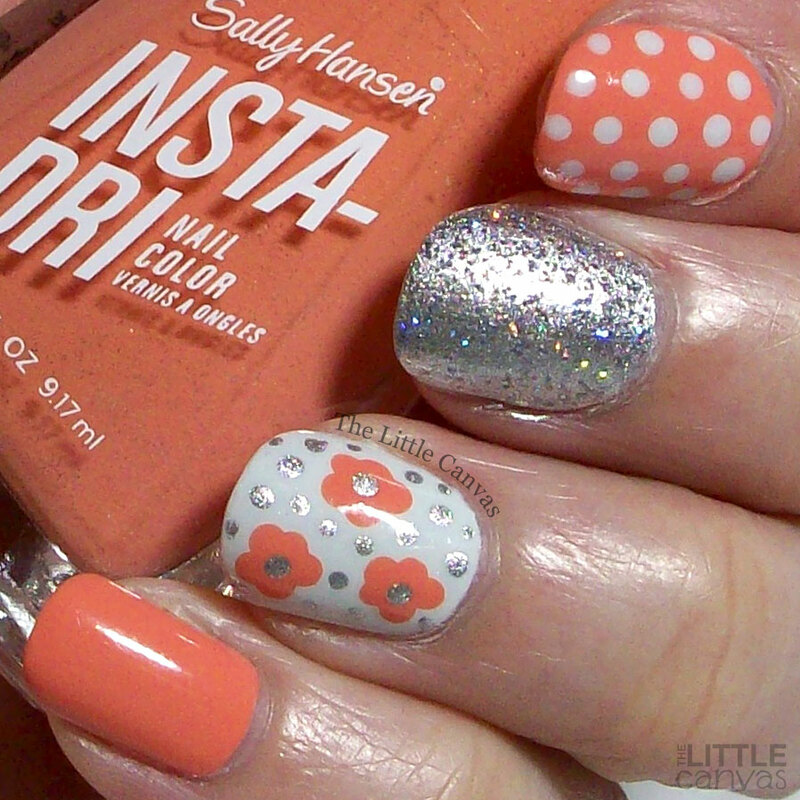 Today's manicure is a simple dot floral manicure. Been forever since I had done a dot manicure, and honestly this one wasn't one of my favorites. I felt like there was a lot of naked space around the dot flowers, so I kind of got crazy with the silver dots and that made me not so happy. Like it took away from the design. I have to start learning that blank space is a good thing. While not one of my favorite manicures, but definitely in love with Peach Buzz from Sally Hansen. Two coats and full coverage. This polish has a subtle peach shimmer mixed in with the cream that really gives the polish some dimension. Works great for the nail art and dot flowers. What do you think? Like this design? Fan of this color?